I finally rethought the way I managed my documents on my Mac and moved stuff around my volumes, so I could do a proper backup. Since my wife and I use different profiles, I figured the data for two of our most used apps (besides Safari) should be on a shared drive. So I moved all of iTunes’ MP3’s and our iPhoto library on my external firewire drive on a 100Gb partition. And I’ve disabled the user rights management for that partition, so we both have read-write access to the files. Sweet! At that point, I created a perfect clone of my main drive, which was now down to a more manageable 25Gb. For that, I used a 50Gb volume on my external drive. I plan to update the clone on a weekly basis. Next, I removed all the old files rotting in my Documents folder, minimized the use of folders in there as much as possible (trying to learn to rely on the Dashboard search engine) and moved the larger (lesser used) files to the external volume. I then used Toast to create a backup of my \\Users directories. I also did a complete backup of my iPhoto library, which took me 3 DVDs by itself. At least, now I feel a little more secure knowing that I finally did what I preach to everyone in the family: backup your data often and have a recent copy secured offsite n case of the worst. 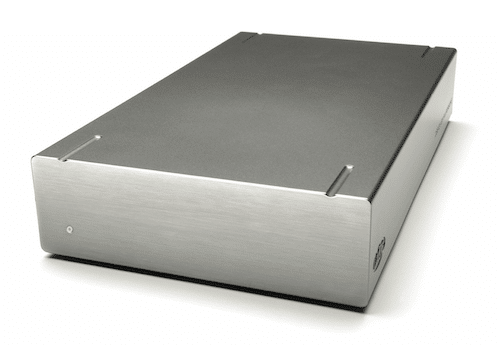 My DVDs will be sitting in my office’s filing cabinet on Monday and in case of a problem, the only you’ll see me carry out with me will be a metal brick-looking box, my LaCie 160Gb external drive.